If you’re looking to book flights with Virgin Australia, take note. Velocity Frequent Flyer has just released a Triple Points promotion, in conjunction with a 1,000,000 seat sale! Update: while the offer terms and conditions state that the offer is “only available to the intended recipient of this email.”, Velocity have since confirmed with us that the offer is open to all. Simply head to the Velocity triple points promotion page and enter your Velocity number to register. What bookings are eligible for the Virgin Triple Points points promotion? 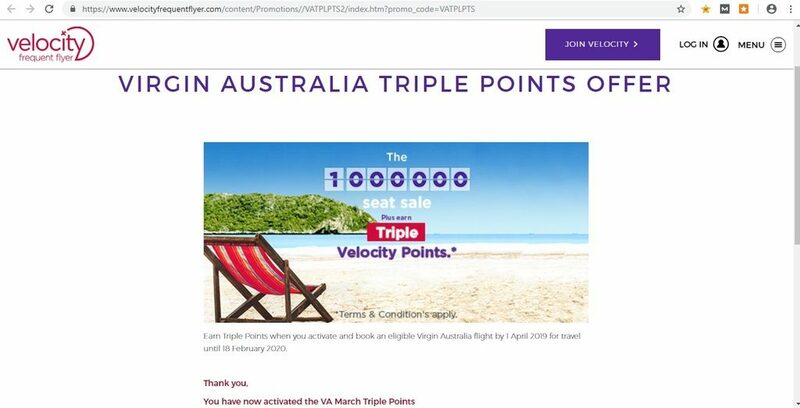 To be eligible for the Virgin Australia Triple Points promotion, you’ll need to have activated the offer between 25 March 2019 and 1 April 2019 inclusive. Once your activation has been confirmed, book any eligible Velocity flight (marketed and operated by Virgin Australia) between between 25 March 2019 and 18 February 2020 inclusive. 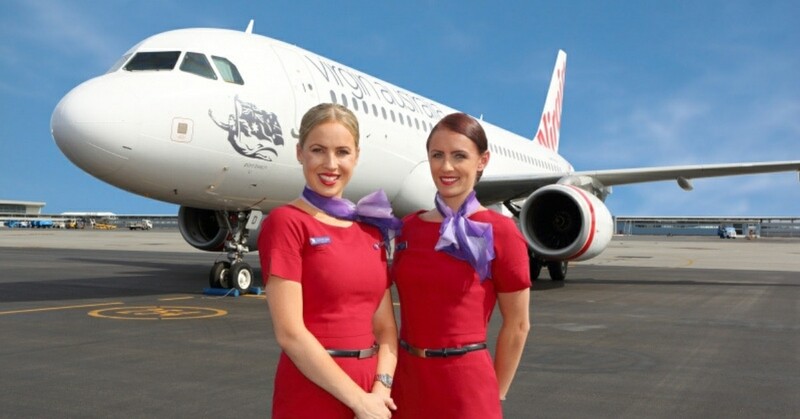 Flights can be booked directly on the Virgin Australia website or via travel agent. When you make a booking, only the original fare class will attract triple points; any upgrades will not attract the points. You’ll also need to book a fare in a class that normally accrues points for triple points. Bonus Points will be applied to the base Points only and tier bonuses earned will not attract triple points with this offer. Points also cannot be earned on Velocity Reward Seat bookings. Finally, note that Codeshare services marketed or operated by partner airlines other than Virgin Australia are not eligible for this offer. More information can be found via the Velocity Frequent Flyer website. When did the last public Velocity double or triple points promotion take place? The last public Velocity double points offers ran in December 2018. At various stages double status promotions have also occurred. I’ve got large number of Velocity points – how should I spend them? If you’re sitting on a stack of Velocity points that you’ve earned through a points promotion, you’re spoiled for choices on how to use them. You could choose an indulgent Singapore first class flight or use your haul of points in Australia on Virgin Business Class flights.